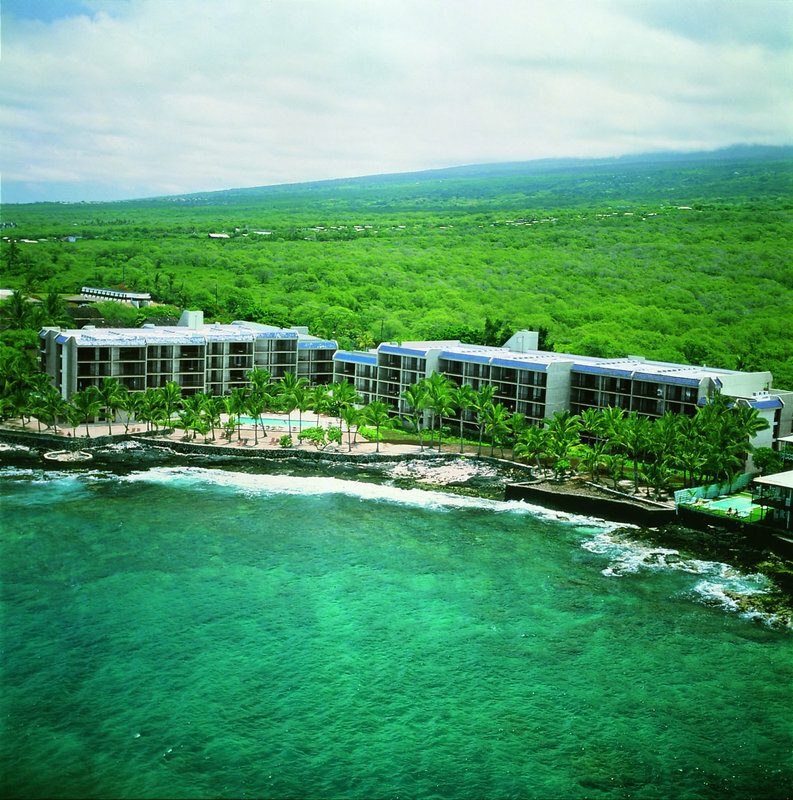 Check Rates & Availability at Aston Kona By The Sea! *** An Oceanfront Retreat in a Perfect Location *** The Aston Kona by the Sea is a relaxed oceanfront resort which fronts a magnificent rocky shoreline with its own sandy lounging area- outdoor barbecue facilities and more. Located just south of historic Kailua-Kona town with its charming shops- dining and nightlife. All units offer views of the ocean with fully equipped kitchens- island-style furnishings and generously sized lanais that offer a perfect spot to catch spectacular sunsets. Daily maid service is -of course- provided. Our large oceanfront swimming pool and jet spa are ideal for having fun in the sun while our sandy lounging area created for our guests only- provides a relaxing afternoon under shaded atmosphere. Nearby guests will find 144 holes of championship golf - public tennis courts and the many charming boutiques and restaurants of Kailua-Kona town. --- HAWAII-S NON-SMOKING LAW --- In the interest of the good health of all our guests - employees and owners- and in compliance with the State Law Act 295- ALL Aston Hotels and Resortss and condominium units managed by Aston Hotels and Resorts are now designated as Non-Smoking Accommodations effective immediately. .
An intimate oceanfront resort with breathtaking views and spacious suites. This condominium resort fronts a magnificent rocky shoreline with its own sandy lounging area- outdoor barbecue facilities and more. Located just south of historic Kailua-Kona town with its charming shops- dining and nightlife. All suites include a fully equipped kitchen with microwave for *at home* convenience. Many restaurants are nearby in Kailua-Kona town.